The company has released Update 20 for the PC version of PUBG and it brings a slew of new changes that will be currently implemented on the test servers and later be rolled out for live servers. PUBG is one of the most famous gaming titles in the Battle Royale arsenal and its players are familiar with the bugs and issues that plague it. The game developers took note of this and recently announced the ‘Fix PUBG’ initiative to remove some of the major bugs in the game. Delivering on their promise, the company has released a new patch for the PC version of PUBG via Steam and has also detailed the various changes and fixes it brings to the popular Battle Royale game in a blog post. The new patch is named “Update 20” and the developers say that the new changes will be first applied to the test servers and then later to the live servers to make sure that no new bugs pop up. Adding a new AR, the Beryl M762, to all maps for wider weapon diversity and strategy. Also we’re introducing more new functions such as TPP camera position setting and reporting system improvements. There have been plenty of Quality of Life (QoL) changes under the Fix PUBG update section. Highlights of the QoL are addition of a key guide to the loading screen tips, highlighted outline for a targeted interactive object, and one can finally report teammates. As for the new weapon, players will now find the Beryl M762 Assault Rifle in Erangel, Miramar, and Sanhok. The rifle uses 7.62mm ammo and has a magazine capacity of 30 rounds, which goes up to 40 with an extended mag. 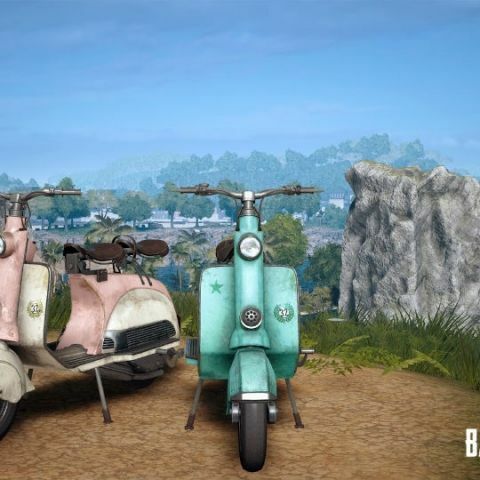 The new scooter in Sanhok is a two-seater vehicle that replaces the motorbikes. It has lower speed and increased turning radius in comparison with the current motorbike, but has the same HP. Even though we have mentioned the most pertinent updates, there are a lot more changes to the game and you can go through them all here. which mobile is more better in terms of performance and camera quality MoTO E or Xiaomi Redmi 1S?